Be it an anniversary, birthday or wedding gift this truly stunning design makes the Personalised Rose Gold Russian Ring Necklace the perfect gift. 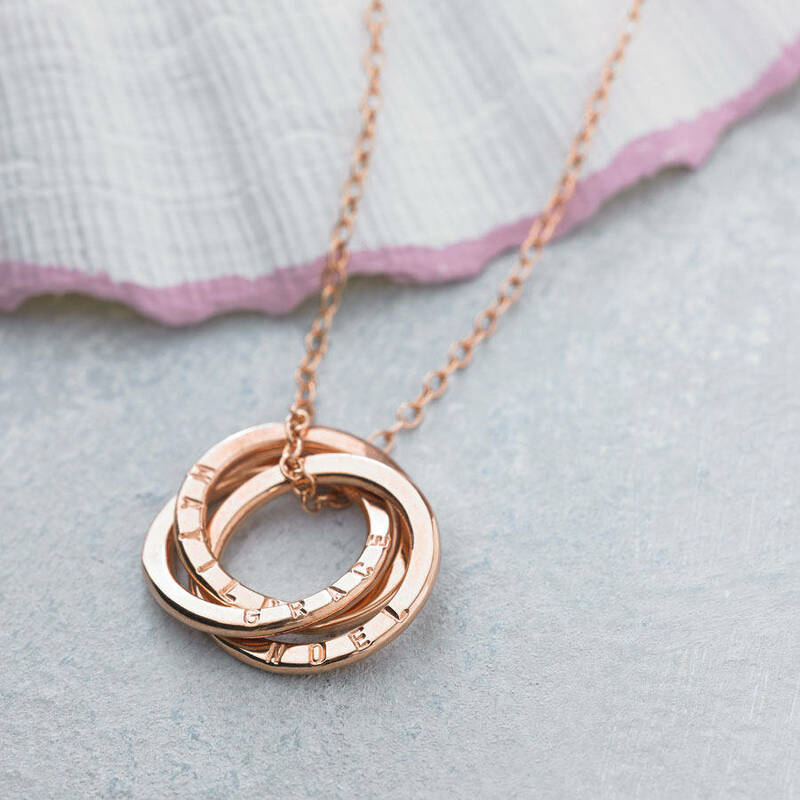 Part of the charm of the Personalised Rose Gold Russian Ring Necklace is the fluidity with which the circle pendants move upon the chain. Personalise each ring with names or words special to you. 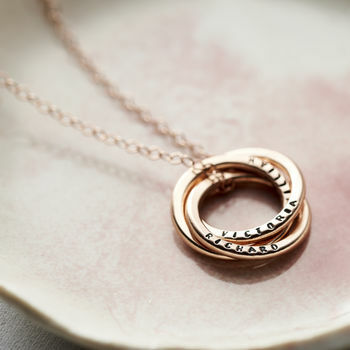 Our most popular personalisations include; names and dates of birth of children, names of newlyweds and the date of their special day, or any other personal sentiments that are special to you or the recipient of this lovely necklace. 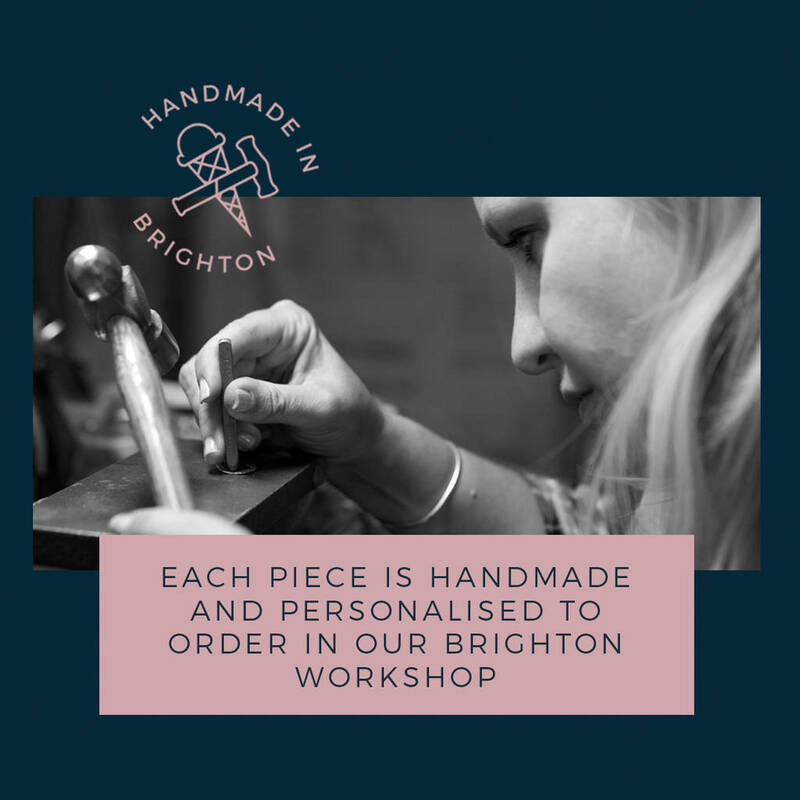 Each item is individually handmade in the Posh Totty Designs workshop in Brighton. 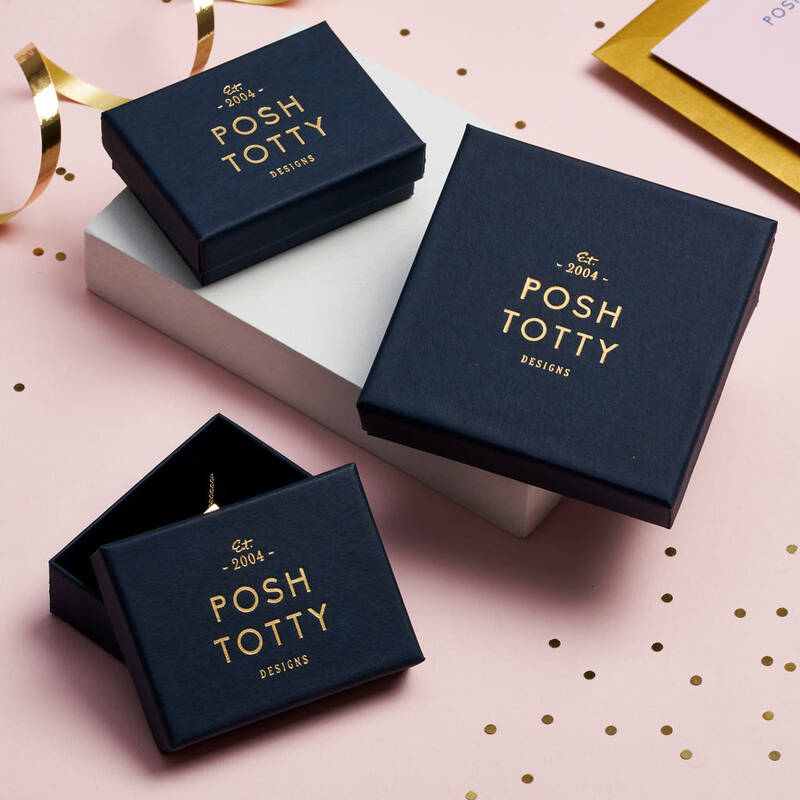 The personalisation is hand-stamped rather than machine engraved, as such, any irregularities should be appreciated as part of a bespoke design. 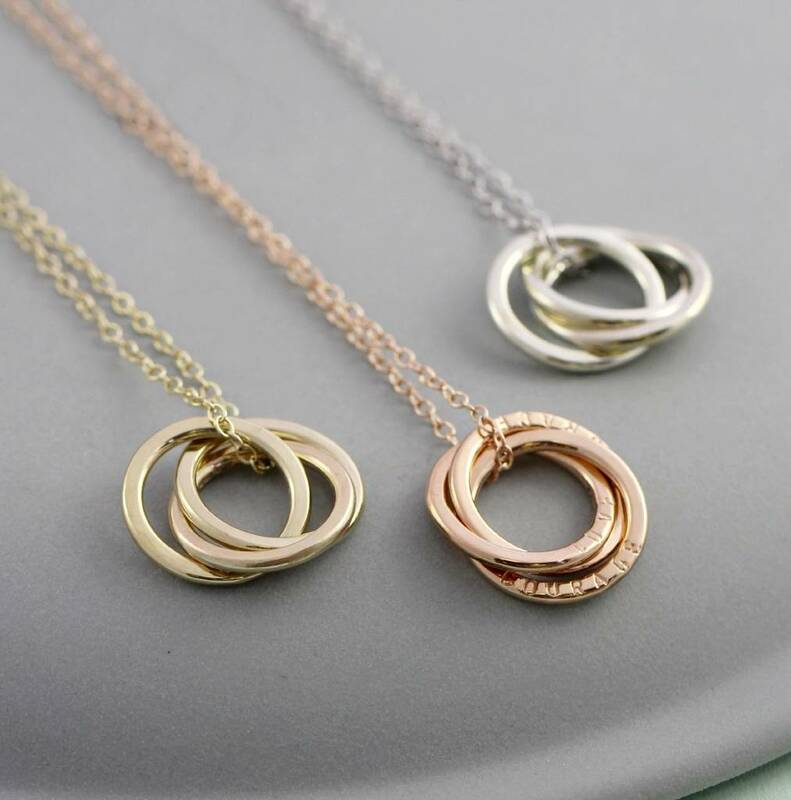 The necklace includes a 46cm/18" rose gold plated trace chain. Each circle measures 18mm in diameter and can fit 12 characters including spaces on the front side. Chain length 18" standard 9ct rose gold plated chain. 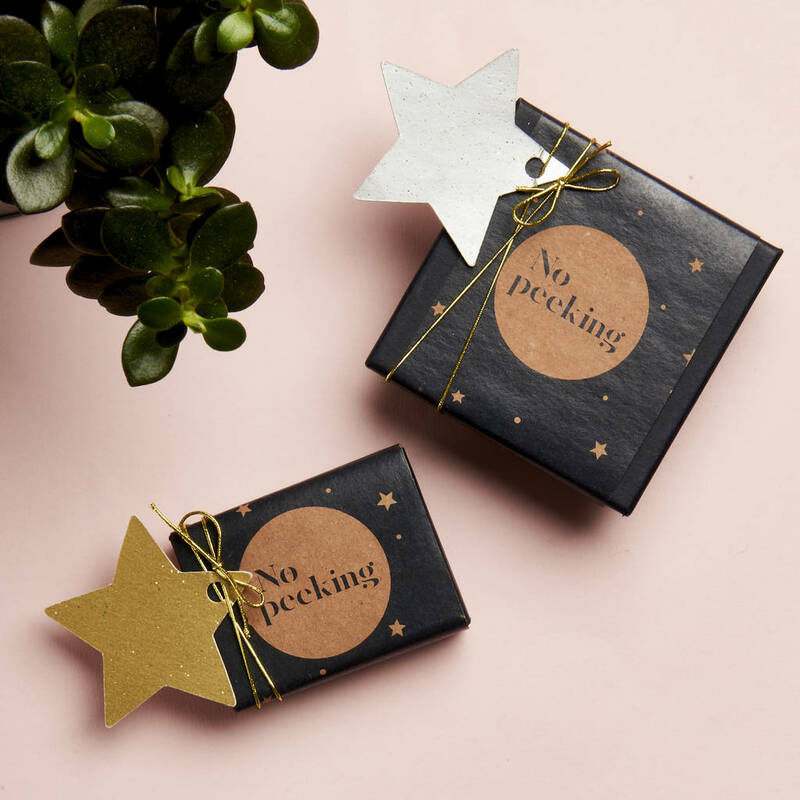 We have a 3 Day Express delivery service at £25 (on working days) on a select few of our products if you require a gift without delay. This service ensures your order is made & delivered within 3 days (if ordered BEFORE 12pm). This delivery service will require a signature on receipt. We are NOT able to offer 3 Day Express Delivery for International orders. Orders placed at the weekend will be accepted the following Monday. 3 Day Express Delivery isn't available on International orders.